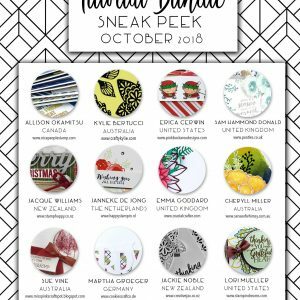 We are kicking off the release of the October Tutorial Bundle with a blog hop to showcase each of the designers. Be sure to visit everyone’s blog for a little taste of the quality and variety in this tutorial bundle. My project today uses the same products as the one in my tutorial, however it is a different project to that in the tutorial bundle. It is a slightly different way to use the same set. Remember this is not the project in the tutorial. The projects in the Tutorial Bundle are exclusive and you won’t see them anywhere else. 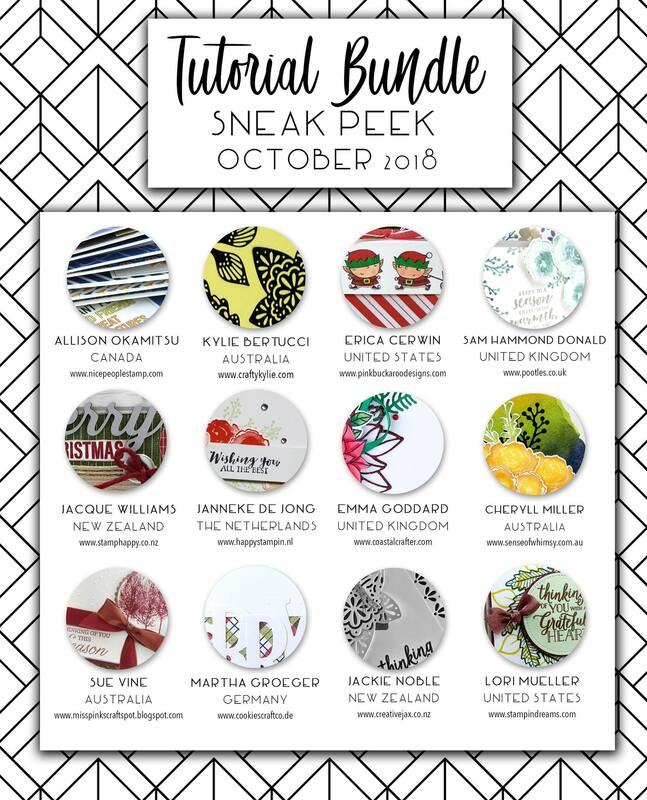 The First Frost bundle is one of the stand outs of the Holiday catalogue. The stamp set is floral, it is beautiful, it fits many occasions and the greetings are lovely. 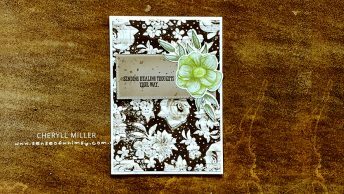 The stamp set and dies are bundled together at a 10% discounted price. What more could you want? Here is a sneak peek of my tutorial project. 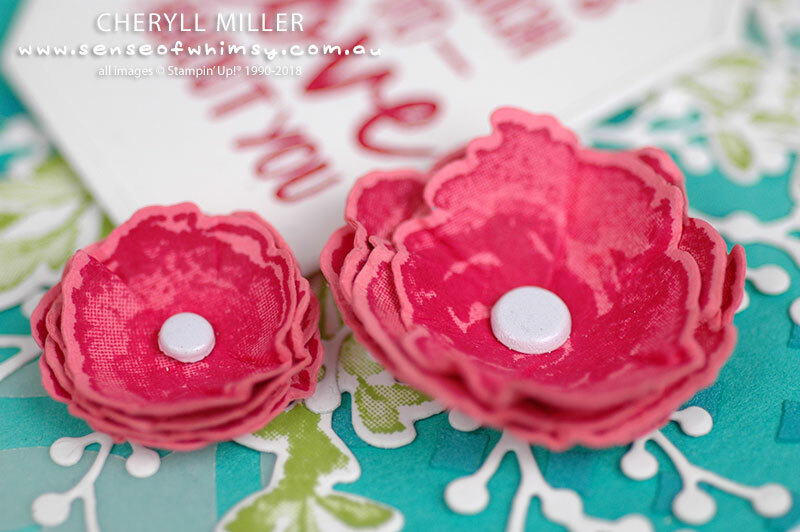 My project for the blog hop today features the same floral images but in a totally different way. It seems that everything I create with this set, I totally love. It is very difficult to go wrong with it. The little 3d flowers were so easy to create. 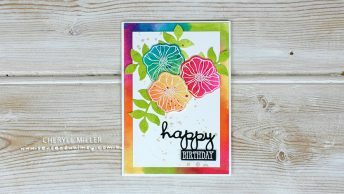 I stamped the flowers in both sizes with Melon Mambo ink onto Flirty Flamingo cardstock. 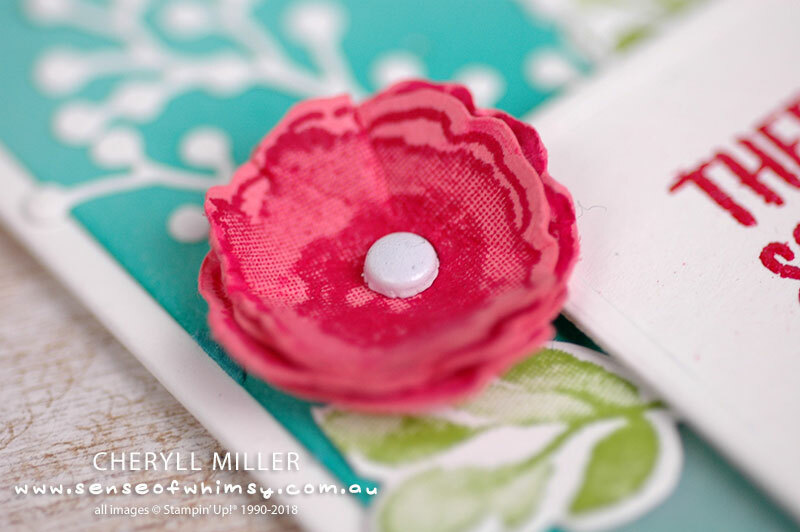 Stamp the flower multiple times, die cut them, spritz the back of them (so the ink doesn’t run), scrunch the flowers up, straighten them out and “round” them with a very special floral rounding tool (aka the top of the Multipurpose Liquid Glue). I punched holes with the handheld circle punch and then attached four flowers together with a white Basic Brad. A combination of stamped and die cut leaves complete the bouquet. 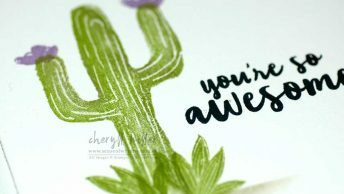 The background is embossing paste coloured up with Bermuda Bay ink and applied through the diamond stencil from Party Patterns Decorative Masks. 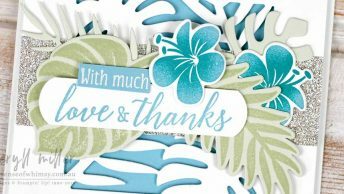 The greeting is from Abstract Impressions and has been embossed with Lovely Lipstick embossing powder from the 2018-2020 In Color Embossing Powders. This is a special card and I have made it for a very special person in my life. Obviously, it is not going to fit in a regular envelope, so I will pop it in a Clear Acetate Box. The projects in the October tutorial bundle are fantastic and you don’t want to miss this one. 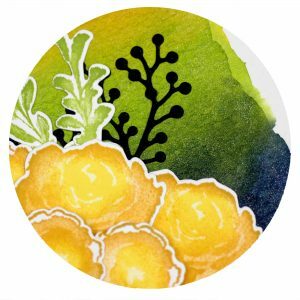 If you are in Australia, these products can be purchased in my online shop. I very much appreciate your support. 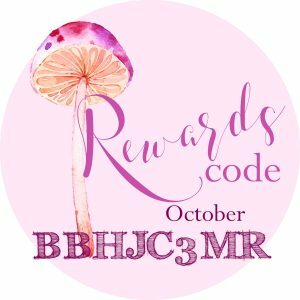 Click on the thumbnail to go to this item in my shop. This is a beautiful card, I love the way you mixed the Flirty Flamingo and the Melon Mambo, it coordinates so well with the Lovely Lipstick. You’ve done a great job! 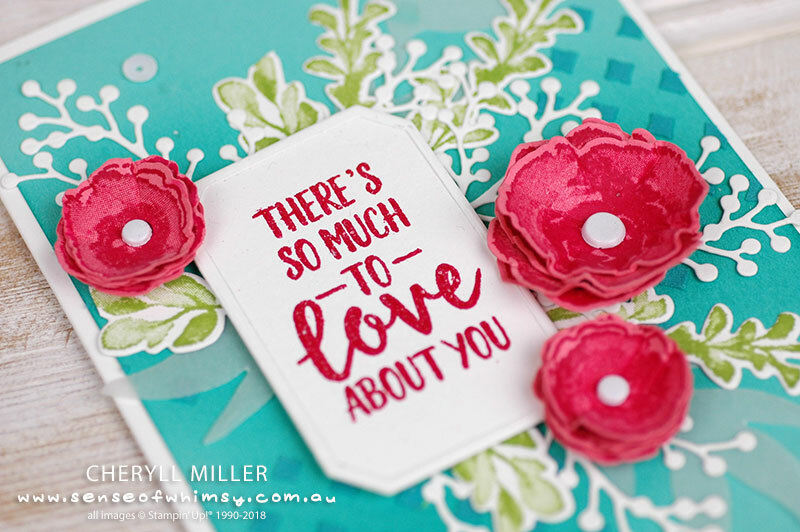 Cheryll ~ I had to drop in and tell you just how gorgeous I think this card is!! If I didn’t already love this set, I would for sure now. OMGosh!!! LOVE the 3D flowers…and, I keep forgetting that brads are back! Gorgeous card! Beautiful project Cheryll.. I love the layered flowers – I shall be giving that a go for sure.